A package exploded Friday at a home on Bay Farm Island in Alameda, and it may not have been an isolated incident, according to police and a United States Postal Service inspector. The package Friday was delivered by the Postal Service and opened by a woman at the residence near Lilac Street and Oleander Avenue. Inspector Jeff Fitch confirmed Saturday an explosive device detonated, but he provided no other information about the package. Fitch said Monday a similar package may have been delivered to an address in East Palo Alto on Oct. 19. Investigators are looking into whether the two incidents are connected, he said. Among the responding agencies Friday were a bomb squad and the Bureau of Alcohol, Tobacco, Firearms and Explosives, Fitch said. He said what happened is a federal offense. 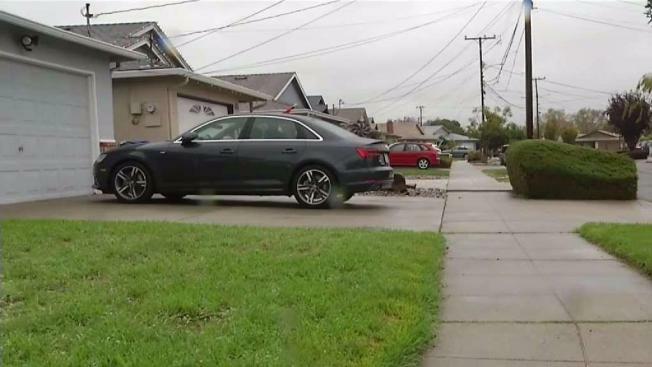 A package exploded at a home on Bay Farm Island in Alameda, and it may not have been an isolated incident, according to police and a United States Postal Service inspector. Neighbors told NBC Bay Area they believe a police officer lives at the home, but authorities did not confirm the residents' identities. The extent of the woman's injuries were not known.